Patreon is a place that showcases artists and creative people so that patrons (that’s you) may choose to support creative people (that’s me) through small, regular financial giving. Your patronage can be as modest as $1 a month. 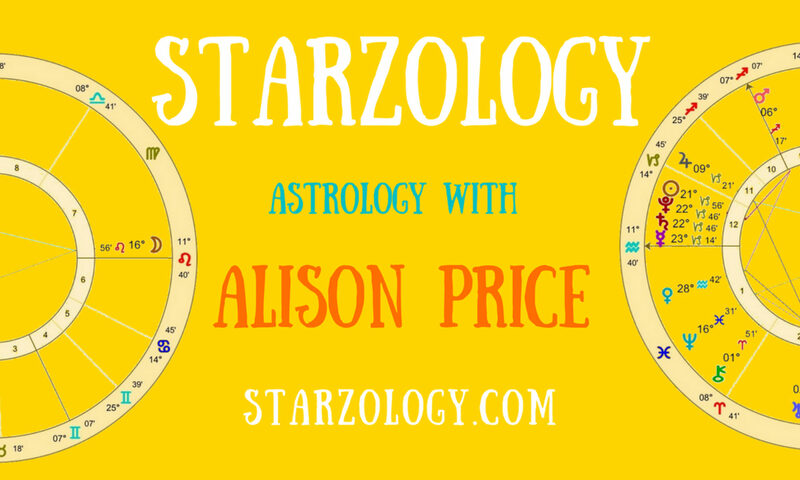 I am Alison Price a writer, astrologer and creative in Vancouver, Canada. I live sparingly with my family and maintain a low carbon footprint. I have no car, no cable TV and no pets. I care for a plant called Egbert and lots of books. In my creative work I have a computer, phone and printer. I use software, paper and ink and I have internet and web hosting commitments. These things are my main expenses apart from a roof and food (for Egbert you know). I share and grow my astrology knowledge at workshops and conferences where I usually teach but sometimes I just attend. I like to recharge my creative juices through spending time with inspired people. My currency is astrological and new age knowledge. I am driven to provide basic astrology that everyone can use. I strive to give you enough information so you can bring the essence of astrology into your life without having to learn the detailed intricacies of chart work or in other words the nitty gritty. My goal is to raise basic astrological knowledge of everyone through simple, but correct, information. This is the stuff you can confidently use and you know some already like your Sun sign. I aim to take this knowledge out of the ivory towers of “Astrology only” people and make it available for those who seek understanding. If you support enlightenment then you can help everyone else on their journey. Of course I am happy with high level astrological theory, debate and questions but that only appeals to a select group. I ask for your support, through your patronage, so I can continue to develop and write about astrology for everyone. Please help me. Your contribution means so much to me. I appreciate each and every one of you. Thank you for considering to be my patron. When you support me on Patreon your name will go here for perpetuity. Astrological Peer Review – Is It For You?